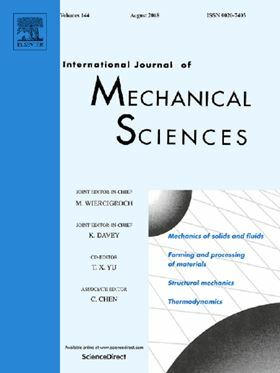 The research article 'The influence of micro grooves on the parameters of the centrifugal pump impeller' has been published in Elsevier's International Journal of Mechanical Sciences (Volume 144, August 2018, Pages 827-835). Obtained efficiency of centrifugal pumps with low specific speed is not high. In order to reduce hydraulic losses, a modified impeller channel with micro grooves was designed and patented. The article focuses on the impact of microgeometry on the efficiency of centrifugal pumps with extremely low specific speed (nq < 8). The results of experiments carried out on a test rig were presented. The characteristics of centrifugal pumps with a smooth impeller and one with micro blades/micro grooves were compared. To identify the flow phenomena, preliminary CFD calculations were performed. The obtained distribution of pressure and velocity fields on specific control panels were compared.